A full line-up of expert speakers will gather at the Radstats conference in London with the theme ‘21st Century Inequality in the UK‘. As well as speakers there will be workshops and plenty of lively discussion. Registration is only £50 (£30 student/low income) for the day including lunch. You can register here now. The 2018 Annual General Meeting will immediately follow the conference, and there are social events over the weekend. Newcomers and continuing members are very welcome to attend! On 24 February, 2018 a full line-up of expert speakers will gather at the Radstats conference in London with the theme ‘21st Century Inequality in the UK‘. Please spread the word using this flyer to print and display. 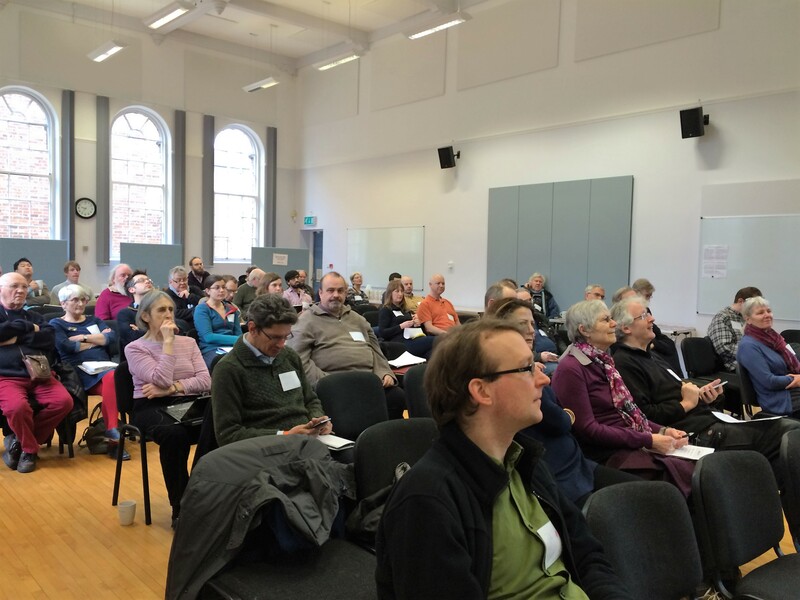 We had a reasonably successful 2016 conference in York late February with about 60 participants. I think most people enjoyed it. We have been waiting for the papers from the February Conference for several months and have at last received three; together with a follow-up to a previous article and some other bits and pieces, we now have a respectable ‘November 2016’ issue. All these papers were written and completed before the Brexit referendum unless otherwise specified. The conference papers are by Jonathan Bradshaw on trends in Child Poverty; by Stewart Lansley on trends in inequality in income; and by Andrew Street on Financial Crisis in the NHS. We have an additional paper by Lisa Buckner on census-based local labour market research, and a response by John Hume to the criticism of his article in the previous issue on work capability assessment; together with updates by Jonathan Rosenhead on the academic boycott of Israel, on progress with the next RadStats book on Social Statistics by Jeff Evans and the provisional programme for the 2017 RadStats Conference on Saturday 18th February in Edinburgh. Once again a very eclectic collection and no attempt is being made to link them, other than that they are all very interesting papers. View issue 115. In this editorial, written only a couple of weeks after the second populist Trump ‘shock’ of the year, the previous question has to be re-emphasised: why have data and information had so little impact on political debates (and obviously that lack of impact is multiplied several times in terms of the impact of our information) and how that can be changed. Once again, the appeal to ‘take back control of our country’ was very powerful – and will be in France with Marine Le Pen and Geert Wilders in the Netherlands – but it is very disconcerting to believe that information has NO effect at all. What can we do – or what could be done by others – about it?. Following on from the Brexit debate, much of the US Election debate was based on misleading economic and immigration information, yet attempts to deliver correct information had absolutely no impact. Why Not? Our problem is that ‘we’ have not understood the ways in which ‘information’ is adsorbed or understood by different socio-economic groups. Perhaps there should be real – rather than virtual – answers this time. Finally, an urgent appeal for contributors / papers; we are seriously running out of material! How have statistics been used in the arguments for Britain remaining in or leaving the EU? What do statistics of Brexit tell us about social inequalities and social change? What evidence is needed to assess the implications of Brexit proposals? 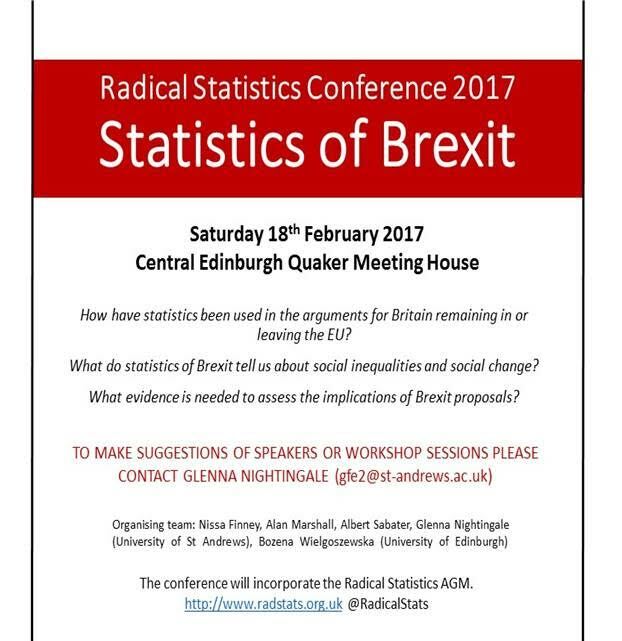 The upcoming Radical Statistics Conference 2017, on Saturday 18th February 2017 at the Quaker Meeting Housing in Central Edinburgh, will address these important questions by taking into consideration a range of perspectives (Demographic, Economic, Media, Law, Politics and Policy) and engaging in a timely and topical discussion about the “Statistics of Brexit”. The format and structure of the event, with five keynote speakers, two workshops and a panel discussion, will provide plenty of opportunities for interaction and discussion on the role of statistics during the EU referendum campaign and beyond, indeed, only a few weeks before article 50 is triggered at the end of March, 2017. While it has been argued that antipathy to statistics is one of the hallmarks of the populist right, with statisticians and economists chief among the various “experts” that were ostensibly rejected by voters in 2016, it is particularly incumbent on those who use statistics to support progressive social change and to give a much needed understanding of which data and conclusions are trustworthy in the so-called post-truth culture. As one of the most important decisions the British public has faced in decades, this event will provide a forum for discussion and debate on Brexit that promises to be evidenced-based and from a truly diverse set of perspectives. View the programme, with link to booking form, for more information and to reserve your place now! Mark your diaries – Sat 18 February, 2017. Many thanks to the organisers of Conference 2016 – Roy Car-Hill for an excellent programme and John Bibby & Jan Böhnke on local arrangements. 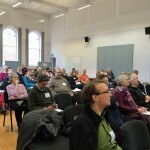 There were about 60 people attending the event in York. You can view the 2016 Conference speakers’ presentations, pictures and a storify of tweets from the day at the conference page. We are all set, and looking forward to welcoming you in York! Our weekend base is the Priory Street Centre (PSC, Priory Street, YO1 6ET). We will be there from 8.30 am Friday till 2pm or so on Sunday. You can leave luggage etc. there at your own risk. Our main pub location will be the Brigantes pub (100m away from PSC, at 114 Micklegate, opposite the end of Priory Street). We have reserved their upper room from 5pm till closing time on both Friday and Saturday. However, we will not necessarily be there all the time, as food and drinks will also be available at the PSC (payment by donation: suggested minimum £6 for food; £1+ per drink; non-alcoholic drinks free). Hot food (lasagne etc.) will arrive at PSC at 7pm each evening. I have ordered 20 portions. If you are arriving later on Friday and want one kept for you, please let me know. At 10.30 on Sunday we shall set out for a 90-minute guided tour of York. This will reach places that other tours do not reach. The weather forecast is good! If you’d like to come on this, please pay an extra £2 when you check in and make sure your name is marked “Walk”. Equally, if you want to book a Saturday evening meal, please pay an extra £6 and mark your name “Meal”. If you have not yet booked for the conference THERE IS STILL TIME! Please either book on the website or JUST TURN UP!! Issue 112 of Radical Statistics includes the winner and runner-up in the 2014 Radical Statistics essay competition (open entry) and features a host of articles on topics as diverse as a 19th century radical German demographer, deprivation in a former mining area in Yorkshire and official statistics in Norway. As such it nicely highlights the range of topics that can be subjected to a radical statistics perspective! The essay by the first prize winner, Elisabeth Garratt, provides an excellent overview of the rise in foodbanks in the UK. This is an area that has received growing policy and media attention. This essay highlights that increased use of food aid is cannot be explained by its growing acceptability or people taking advantage of charity, but rather is associated with growing food insecurity. The essay also usefully outlines what different types of data can, and cannot, tell us about food insecurity. The second placed essay, by Dr Pauline McGovern, provides a highly engaging take on the use of path analysis. In her essay she makes use of creative and engaging metaphors and research on the effect of former occupation on the health of retired people. The essay is an excellent example of how we can present statistics in an immediate and creative way. Look out for the two student competition winning essays, which will be featured in the next issue of Radical Statistics. The issue continues with two articles that, in different ways, examine area-level statistics. The first, by Sinead D’Silva and Paul Norman, explores the utility of administrative data in producing a simple scale of ‘social stress’ at the area level. Focusing on areas in Doncaster that have suffered coal mine closure, and consequent job loss and deprivation, they show that a relatively simple scale, constructed from publically available area-level data, provides a surprisingly good proxy for more complex Indices of Multiple Deprivation. The second article, by Mark A Green and Mark Strong, focuses on health-related quality of life (HRQoL). They note that it can be difficult to illustrate the impact of neighbourhood deprivation on HRQoL. As such they propose a novel solution: using BMI (a summary of weight that is socially meaningful) when explaining epidemiological effects to lay audiences. For instance, enabling us to see the approximate equivalence, in terms of HRQoL, of individual morbid obesity and living in a deprived neighbourhood. The article by Asle Rolland engages with an important debate regarding the independence of official statistics. The article highlights crucial dimensions related to independence, and the desirability and potential limitations of independence, drawing on empirical examples and references to common practice, regulations as well as underlying philosophical principles. Continuing the focus on official statistics, albeit in this instance, their unavailability, Frank and Sarah Houghton, explore the health situation in Ireland, arguing that it is highly correlated with poverty, but that it is difficult to show this with any precision due to insufficient information, the tendency of the Irish government to restrict access to what information exists and diminishing regulation and data oversight. They suggest that there is no clear and transparent health funding model and the Irish health care delivery system is in a dire state, especially for the impoverished. The final article is a biography of radical statistician Robert René Kuczynski (1876-1947). Kuczynski was a German economist, demographer and one of the founders of modern German vital statistics. As an urban statistician he investigated the housing conditions of the working population. He also was a proponent of democracy in Weimar Germany, but in 1933 he had to leave Germany and settled in England where he lectured in demography at the LSE, and later became a demographic adviser to the Colonial Office. Issue 112 returns to contemporary issues to conclude with two brief comments by Christina Beatty and Alison Macfarlane. These highlight the British government’s increasing insistence that academic partners destroy data within an (overly) restrictive timescale. Finally, a reminder that Radical Statistics welcomes your contributions. If you have either a full-length article or a brief comment that you would like to contribute, or if you are interested in reviewing a book that you believe is of potential interest to Radical Statistics’ readers, please get in touch with us at editors@radstats.org.uk. Special Issue 111 Editorial: Is Britain Pulling Apart? This issue includes four articles based around the theme of the Radical Statistics conference in March 2014 all discussing topics related to the questions – Is Britain Pulling Apart? It concludes with two comment pieces, one a response to Gorad’s paper that appeared in Radstats 110 and one that focuses on the academic boycott of Israel. We begin with a contribution by Daniel Silver. He discusses and criticises the use of ward-level statistics of poverty, and shows how these may be used to disguise issues related to poverty levels. His contribution draws on important evidence from a project by the Open Society Foundation, “Understanding Europe’s White Working Class Communities”, which carried out a comparative study across six European cities. Nissa Finney then turns a critical eye to ethnic segregation. She begins by revealing that, contrary to much news commentary, there has been increased ethnic mixing, not segregation, over the last decade. Moreover, statements about ‘white flight’ from areas of ethnic diversity are not substantiated. Instead she identifies processes of demographic change (differential birth and death rates) and constraints on economic choice, including some ethnic groups’ reliance on the private rental market, as drivers of specific pockets of segregation. Nigel de Noronha continues the focus on housing. He analyses social class polarisation in Britain with a particular emphasis on those living alone in the private rented sector. By analysing the patterns and trends in solo living in the private rented sector and how do they vary across different neighbourhoods he finds that there has been a polarisation in this area where those from higher classes often live in their own property, whilst younger people are more likely to live in private rented houses. Routine and unemployed classes on the other hand are more likely to live in social housing. Roger Seifert’s article looks at the political and social background to calls for a ‘living wage’ as opposed to a ‘fair wage’. He highlights growing social inequality and the declining share of national wealth going to workers. Using a wealth of historic and contemporary data and analyses, he argues that contrary to previous political and economic action around ‘fair wages’, the idea of a living wage represents a serious challenge to the confines of market-based thinking. This is because ‘fairness’, erroneously presupposes that a market system based on structurally unequal power can be fair, while demands for a living wage necessitates political action and state intervention. In a critical comment Larry Brownstein responds to Stephen Gorard’s suggested Trustworthiness scale outlined in the previous issue of Radical Statistics’ journal. He argues in favour for the use of such a scale, however, sees potential issues and errors in Gorard’s discussion, and in particular with the way in which Gorard approaches confidence intervals. The final commentary is by Jonathan Rosenhead. He makes the case for statisticians, along with other academics, to participate in an academic boycott of Israeli institutions. Directly addressing arguments about exceptionalism and academic freedom, he highlights the institutional complicity of Israeli universities in systematic policies of ‘politicide’. Our next issue of Radical Statistics will include prize-winners from the 2014 Radical Statistics Essay Competition. If you have an article or short comment piece that you think would be suitable for a future issue of Radical Statistics or ideas about a themed set of articles please get in touch with us. Conference Theme: Good data, good policy? Taking place in the run-up to the May 2015 general Election, the conference will focus on public policy and its relationship with the availability of ‘good data’. We aim to address questions such as: How good is the data we have, and is it used well for policy-making? What are the possibilities for the production and democratic use of good statistics, and the threats to such developments? View the full programme of talks and break-out sessions. Plus, thinking of coming along for the welcome reception? A social, beginning with a review by economists Larry Brownstein & Julian Wells (7:15 – 8:30 pm) of the book Capital in the 21st Century (2013) by Thomas Piketty.